In retail, we understand that if you’re not open, you’re losing money. We also know that a fresh look can help you to drive sales. Let us help give your customers the enhanced shopping experience you desire while never having to close. We are licensed in every state, have the soft skills to work in an open-store environment and can meet a challenging work schedule. Feldstein Jewelers is a full-service, independent jewelry store, catering to a high-end clientele. A family-owned operation, it specializes in engagement rings, along with offering other jewelry, watches, gifts and services including cleaning, repairs and appraisals. The Heel, a specialty flooring retailer located in downtown Green Bay, Wis., for 35 years, was moving to a suburban location which had three times the sales-floor and storage space, increased parking and easy highway access. Its new facility formerly had housed everything from an outdoors retailer, to an ethnic restaurant, to a day spa, and it required extensive remodeling. A long-time men’s clothier in Green Bay, Wis., was moving from the southern edge of downtown to a previously unfinished space near the city’s convention center and planned new housing. The owner desired a unique, upscale retail experience, unlike anything else in the community, with the look and feel of a big-city retailer. The “Johnsonville Sausage Marketplace,” the first-ever retail location for the Wisconsin-based sausage maker, opened late in 2014 in Naples, Fla., and H.J. Martin and Son oversaw multiple aspects of the unique retail space. In 2013 H.J. Martin and Son was contracted to install exterior metal framing, drywall and interior finish of the Cabela's "World's Foremost Outfitter" retail store in Green Bay, Wis. The Cabela's build was a special project not only because of the meaning to the community but also because of the involvement of all divisions within H.J. Martin and Son, including the interior and exterior of the building. General merchandise retailer Shopko continued the expansion of its Hometown format, which is focused on serving the needs of smaller, rural communities. These stores are in the range of 25,000-28,000 square feet, and many go into existing buildings vacated by retailers such as ALCO. H.J. Martin and Son installed custom millwork lockers, custom crown molding, light sconces, Chilewich flooring, couch wall covering, new walls and ceilings and mirrors. HJ Martin Walls & Ceilings aided in Sullivan's Foods' new 32,000 square foot grocery store and 6,000 square foot retail center in Marengo, IL. 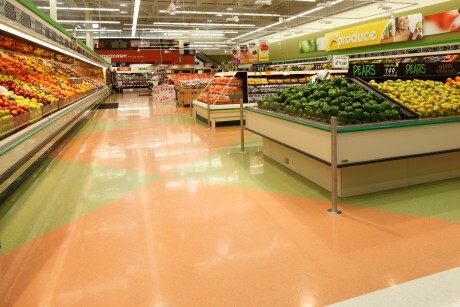 The project was completed in four months with two different phases that included both grocery and retail space. Working in conjunction with TCI, HJ Martin crew members installed steel studs and 850 sheets of drywall. HJ Martin Walls and Ceilings division completed work on new ceilings when Woodman's added on to its frozen foods area. The project was completed in September 2013 with a tight turnaround. With high attention to detail, HJ Martin crew members added the new portion of the ceiling, ensuring the look and feel was consistent with the rest of the store.